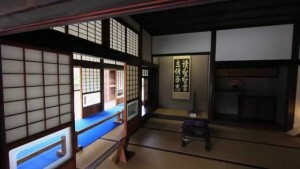 We aren’t trying to go Japanese on you here, but the truth is that most homes in America are overflowing with junk. 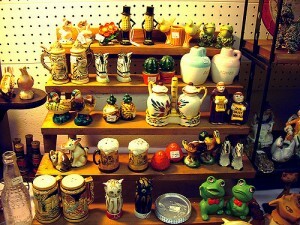 You might call them “collectibles”, others call them “dustables”, “mementoes, or even plain old “crapola”. Regardless of what you call them, there is one thing that is certain; you have too much of it. If you want less to clean, less dust, less clutter, and more space, then this list is for you. Pick one item each day this week and give it away to charity or, if it’s just plain useless or broken, gather up your gumption and throw it out. Of course, if you are the creative type, you can always upcycle or recycle it, depending on what it is. Are you ready? This won’t hurt much….really. Now, use your judgment here. There are plenty of homeless shelters, women’s shelters, and donation centers that would be more than happy to get old shoes that, for whatever reason, you haven’t worn in more than 2 years. 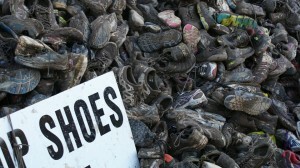 However, please DO NOT give away old shoes that are completely worn out. If the soles are bare or if they look like a baby’s bottom, if they are ripped or torn, if the straps are broken or if the buckles don’t work, please, throw them away. Needy persons already have plenty of worn out shoes! Grab a box or bag and toss all useable shoes in there (kids shoes too!). Imagine the space you will have! Imagine how much better your closet will smell! Imagine all the people who will be grateful for your old pair of Nike’s. The same holds true of clothing. Don’t save those jeans you plan to wear again when you lose 10 pounds, they won’t be in style any longer, we promise you. If you haven’t worn something in one year, you probably won’t. This is also true of your children’s clothing. Get a bag and toss it in. Unless they are worn out or terribly stained, then, throw those out. You can keep one or two cotton t-shirts for rags, but that’s it! 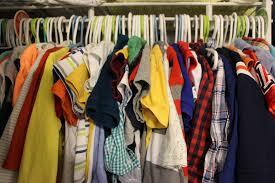 Donate usable items to the charity or homeless shelter of your choice. Around here, UFO’s are Unidentified Food Objects! 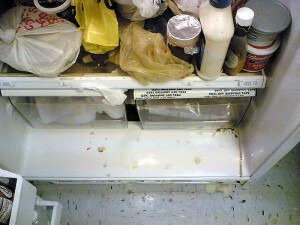 Seriously – grab a bag and throw out everything in your refrigerator that you don’t recognize, don’t know what it was, and don’t know how old it is, or just looks disgusting. Those three year old bottles of salad dressing, a jar of pickles from who knows when, all of it! Throw it out! We aren’t talking about first editions of Charles Dickens; we mean those $5 paperbacks you picked up at the airport. 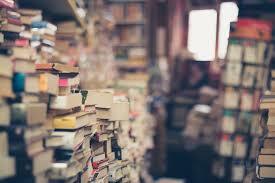 For book lovers, these can become a real problem. Pack them up and donate them, again, to homeless shelters, nursing homes, or even a local library. If you can’t find anyone who really wants them, you can always recycle them. Don’t forget magazines! Save ones that you believe have historic value to them and either donate the rest to hospitals, doctor’s offices, and nursing homes, or toss them in the recycle bin. Do you really need to keep a copy of every movie you have ever watched? Of course not. Movies that you love and that you watch over and over again, of course, keep those, but for everything else, it’s time to clean them out! 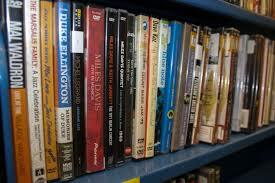 Pull unwanted movies and consider donating them to libraries, homeless shelters, or nursing homes. Of course, be careful that you don’t donate movies such as “I Spit on Your Grave” to nursing homes or schools! We all love a good bargain, but if you are like us, we sometimes keep stuffing that coupon wallet or kitchen drawer with new coupons but we neglect to remove old ones. It’s time to make a fresh start! 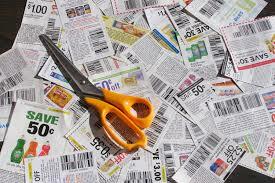 Go through your coupon collection and remove every single one that is expired or that you won’t be able to use in time. Toss them in the recycling bin! These might be the most difficult to get rid of but they will save you tons of time when it comes to cleaning; not to mention the space they can create! Depending on the number of knick knacks you have, you might want to tackle just one room at a time or even just one table at a time! Get two boxes. Mark one box “Donation” and the other box, “Memories”. Now, consider each item. For example, yes, that little clay reindeer (or was it a dog?) that Susie made in the 3rd grade 20 years ago is sweet, but do you really want to keep it? Do you want to keep it where you have it now or would you rather pack it away for later? If you want to give it up completely, put it in the box marked “Donation”. If you want to show it to Susie’s children later, then put it in the box marked “Memories”. Of course, you can always decide to leave it where it is, the choice is yours, but be as brutal as you can, especially if you have a huge amount of knick knacks. When you have finished, put your memory box somewhere safe, such as an attic, basement, or even the top shelf of a closet. The other box can go to whichever charity or thrift store you like best. That wasn’t so hard, was it? Keeping your home clear of old items and clutter is not only good for your mental health, but it’s good for the less fortunate. We will tackle bigger tasks in another article. For this week, congratulate yourself on a job well-done!